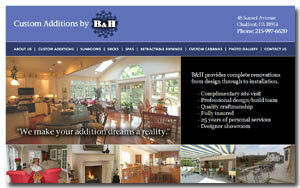 B&H provides complete renovations from design through to installation. They will personally design and spend the time needed to make your addition dreams become a reality. With hundreds of references and 25 years of service, let their experience work for you.